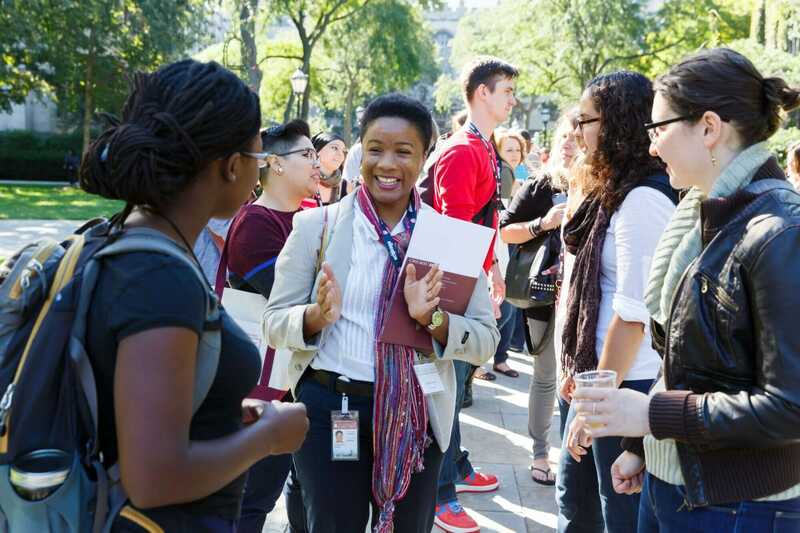 The University of Chicago welcomes prospective students to apply to one or more programs across the University. All programs at the University of Chicago offer an online application system. Please note, however, that each school and division has its own application, and that to apply to multiple programs, you will typically need to create a unique application to each one. Please read the information provided by each program carefully for their requirements. For most doctoral programs, faculty committees will review and decide all of the applications that are submitted. For masters’ programs, there may be committees that are comprised of a combination of faculty and admissions staff members. However, since study is so specialized at the graduate level, each graduate degree program has its own way of determining which applicants they wish to admit in any given year. 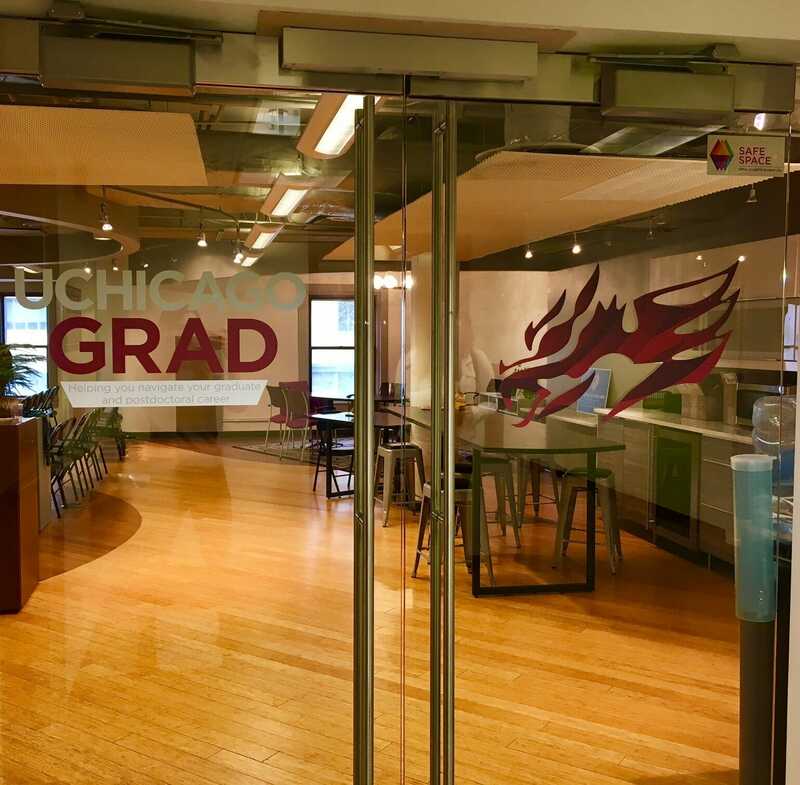 Each of the graduate programs at the University of Chicago use an online application system, most of them coordinated through the Graduate Admissions office. Applicants to the Law School and the Pritzker School of Medicine must apply through the LSAC and AMCAS systems, respectively. Because the actual admissions process takes place within each school, division, and department, if you wish to apply to more than one program, you will usually need to create a separate application for each one. We offer some general guidelines about the application process here, but encourage you to follow up directly with the admission staff for your program(s) of interest with questions specific to their application process. Find the application instructions on our Apply page or on the webpages of the programs that interest you. Sign up for an online application account. Register for and complete any and all standardized tests and keep that information ready when you work on your application. Have official scores submitted electronically by the testing agency to the University of Chicago. Contact individuals you would like to write letters of reference for your application, and give them plenty of time to do so. Detailed instructions will be included with your program’s application. Request transcripts from all post-secondary schools you have attended, and if needed secure translations. Carefully prepare the specific components of each application, typically written statements or essays. Submit your application before the posted deadline, and check your email and online account for any updates that might come from the admissions office. International applicants should also visit the International Applicants tab for additional requirements. For information specific to your program or application (including deadlines), visit the program’s webpage or contact an admissions representative from your particular graduate program. 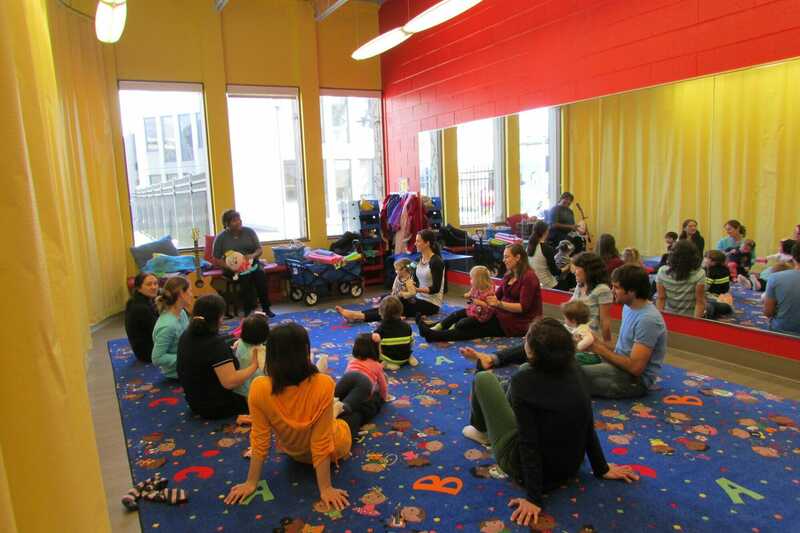 The applications to our programs require an accompanying fee. This fee will be clearly indicated in the instructions on your application, and you will be prompted to pay the (non-refundable) application fee once you submit your application. If you plan to request a fee waiver, you should not submit the application fee until after your fee waiver request has been reviewed. If necessary, you will be able to return to your online account to pay the application fee. Fee waiver applications, if accepted, can usually be made as part of the application itself. Please do not be deterred from applying based on the application fee. Many programs will grant fee waivers if the applicant meets certain criteria, which will be stated in their online application. Typically, if you submit a fee waiver request, the school or division will be in touch with you if they require further information. Please note that with a few exceptions, most programs will only grant waivers based on financial hardship to U.S. citizens and permanent residents. Current UChicago students and alumni will receive automatic fee waivers when applying to most of our schools and divisions. Participants in certain programs, including the Leadership Alliance, Institute for the Recruitment of Teachers (IRT), National Name Exchange, and those who will submit a Big Ten Academic Alliance FreeApp request, should complete the fee waiver forms as part of the application, and submit any requested documentation through those organizations, rather than submitting the application fee. If you experience any difficulty with these program-based fee waivers, please contact us at gradadmissions@uchicago.edu. For most programs, you will need to scan and upload a copy of your transcripts for every college or university you have attended, including the page(s) which provides details on the grading criteria and other information. If you are currently enrolled in school, you should upload a current transcript available at the time the application is ready to be submitted. Once fall term grades are posted to your record, you should upload a revised transcript. Applicants who have attended international institutions whose transcripts are in a language other than English must submit those transcripts or certified attestations of study along with certified English translations. Both the original transcript and the certified translations should be uploaded to your online application. Admitted students will need to submit an official copy of final transcripts before they can enroll. Note: any discrepancy between your personal copy and the official, final copies may be grounds for rescinding an offer of admission. Please read the requirements for applying to your program, as each one will have a different requirement regarding standardized tests. If you are unsure about testing requirements, feel free to reach out to the admissions staff at that particular program for clarification. In most cases, GRE and subject test scores may be submitted simply to the University of Chicago, and your scores will be shared with the program(s) to which you are applying. IELTS does not use a program code; rather, please contact your test center and request that your scores be sent to the following IELTS e-download account: University of Chicago – Graduate Enrollment, 970 East 58th Street, Third Floor, Chicago, IL 60637. If scores are not recorded as received within a few weeks, be sure that your name and email address match exactly on both your application and the test, or contact us to provide the information needed to match your scores to your application. Please provide any available reference number (for the GRE or TOEFL, the batch number from ETS; for the IELTS, the TRF code) or other information, as well as which program you are applying to. In most cases, international students will have to supply a valid TOEFL or IELTS score. It is best to read the specific instructions carefully for each application to determine if you fall into the exceptions they will offer. You can find more information about English proficiency testing on the International Applicants page. A statement of some kind is a required component of nearly every application. The expectations for this differ between fields, so it is critical to read the instructions carefully. Your statement should usually address your past work, preparation for the intended field of study, relevant background and interests, academic plans, and career goals. It should be used to describe your reasons for applying to the particular department or program. This statement may assist the admissions committee in evaluating your preparation for graduate study, and help them understand your academic and professional experience, training, and interests beyond what is apparent from your transcripts, as well the specific fit between you and the department. In some cases this will be separate from a statement regarding your research or academic interests. If a video statement or interview is required for your admission, the admissions committee for your program will indicate that in the instructions, and they will provide information about the interview process. Each degree program will release decisions at different times, and some degree programs may release decisions on a more “rolling” basis instead of all at once. The admissions committee will contact you directly about the status of your application. Still have questions about the process? Please visit the Application FAQs page for answers to frequently–asked questions. Do you offer distance or online programs? Created with Sketch. No, we do not offer any distance or online degrees, but we do offer a few online certificate programs through the Graham School of Continuing Liberal and Professional Studies. Do you offer non–degree, certificate programs? Created with Sketch. Our Graham School of Continuing Liberal and Professional Studies offers a number of non-degree certificate programs in fields like visual arts, editing, and community health advocacy. You can view a list of certificate offerings at the Graham School website. I have not yet decided which program to apply to. Can I take classes at the university without enrolling in a particular program? Created with Sketch. Yes. The Graduate-Student-At-Large (GSAL) program, offered through our Graham School of Continuing Liberal and Professional Studies, enables eligible students to take graduate and undergraduate courses throughout the university without being enrolled in a degree program. As a GSAL student, you would not be a degree candidate at the University of Chicago, but credit earned here may be transferable to one of our programs or to other institutions. Can I pursue my degree part–time? Created with Sketch. Most of our graduate programs require that their students enroll full–time. The few exceptions state explicitly whether they allow students to enroll part-time. These include the Booth School of Business's Weekend, Evening, and Executive MBA programs, several programs in the Graham School of Continuing Liberal and Professional Studies, the Masters Program in Computer Science, and the MA in the School of Social Service Administration. Other programs may be willing to negotiate part-time status on a case-by-case basis, but it is best to address these concerns with the program's admissions office before applying. The University of Chicago offers a PhD in my program of interest, but does not specifically mention a master’s degree. Can I apply just for a master’s degree? Created with Sketch. Our PhD programs do not typically offer terminal master’s degrees. Instead, we offer several interdisciplinary one-year master’s degree programs which allow students to work with faculty in their field of interest while constructing a unique program of study that best suits their needs. These programs are the Master of Arts Program in the Humanities (MAPH), the Master of Arts Program in the Social Sciences (MAPSS), and the Master of Science in the Physical Sciences Division (MS-PSD) programs. Do I need a master’s degree to apply to a PhD program? Created with Sketch. Not usually. The vast majority of our graduate programs accept applicants with a four-year bachelor’s degree or its equivalent. The exceptions are the PhD programs in the Divinity School and the School of Social Service Administration, which require a master’s degree, and our master’s degree in Public Health Sciences, which requires a doctoral-level clinical degree (e.g., an MD, DO, or PhD in Nursing). However, it is not uncommon for some programs to have a preference for individuals already holding master’s degree, and an increasing number of entering doctoral candidates in some fields do already hold a master's degree. Can I transfer credits from another institution? Created with Sketch. For most of the University's programs, credits do not automatically transfer from another institution. Credit transfers are usually decided on a case-by-case basis with your departmental adviser after admission. By contacting your department directly, you may be able to learn which credits are likely to transfer. Can I apply to more than one program? Created with Sketch. You may apply to multiple programs during the same admissions cycle. Please note that you must submit an application for each program, and pay each application fee. Can I earn joint or dual degrees? Created with Sketch. Yes. Application procedures for joint/dual programs vary widely by program. In most cases, students interested in pursuing a joint or dual degree must apply to and be admitted to both programs, though it is not always necessary to be admitted to both in the same year. Application information for all of our joint/dual programs is listed here. All students interested in a joint program are strongly encouraged to contact the admissions office for each program prior to beginning the application process. I have a different major than the field in which I am applying for a graduate degree. Is that a problem? Created with Sketch. Some programs, especially those in the physical, social, and biological sciences, have very specific requirements of their applicants’ undergraduate coursework. Those requirements can be found on the individual program websites. In general, the faculty reading an application will typically be concerned with the coursework related to your intended field of study, so if you majored in an unrelated field but clearly have the appropriate academic background and/or research experience, you may still be a competitive applicant. Students who are changing fields of study may also want to consider one of our interdisciplinary master’s programs before applying directly to a PhD program. Is it necessary to have the support of a faculty member before I apply? Created with Sketch. No, it is not necessary to have a faculty member sponsor your application. In general, you may contact faculty with questions, but there is no expectation that you do so. However, in certain fields, particularly the sciences, it is more common to contact faculty in advance to inquire about their ability to take on new students. Before contacting a specific faculty member, you may want to contact the departmental administrator or divisional admissions office with any questions you might have regarding admissions, whether a particular faculty member is able to take on students, etc. It’s also always wise to have specific questions for faculty, based on the research you have already done on your program and their work. How do I meet with a representative of a program or school? Created with Sketch. If you would like to meet with a representative from your program(s) of interest, we suggest that you contact the department well before your visit. Contact information for most of our programs can be found on our website. If you need assistance finding appropriate contact information, please contact us at gradadmissions@uchicago.edu and we would be happy to assist you. You can also meet with our staff during a campus tour. What funding is offered to PhD students? Created with Sketch. Students admitted to a PhD program usually receive full financial support for five years. Support typically includes tuition, health insurance, and in most cases, a living stipend. Each program has a slightly different funding structure; you can learn more on your department’s website. What funding is offered to master’s students? Created with Sketch. Each department and program has different scholarship and funding opportunities, so please visit the website for your program of interest for more specific information. Some highly-competitive merit-based tuition aid is available to students pursuing a master’s degree, and a few programs offer need-based aid as well. You can find more information on funding your graduate education here. What are tuition expenses/expenses for living in Hyde Park? Created with Sketch. Tuition varies by program. Compared to similar neighborhoods in other big cities, the cost of living in Hyde Park is relatively low. You can find out more about what living in Hyde Park is like, as well as information about housing options in the neighborhood and elsewhere around Chicago on our Graduate Housing page. What are your minimum test scores for admission? Created with Sketch. With the exception of English language proficiency exams, the University of Chicago has no minimum test scores or GPAs. All of our programs share an emphasis on “holistic” admissions—in other words, looking at the entire picture of an applicant, not just a set of test score results or grades. Which tests or subscores are considered and the average scores of admitted students will vary widely by program. How do I submit my test scores to the University of Chicago? Created with Sketch. The University of Chicago does not accept copies of test scores— for the majority of programs you must submit official scores for your application to be considered. For students submitting GRE or TOEFL scores, our ETS institutional code is 1832 for all schools and departments. The only two exceptions are the Booth School of Business (1832-02) and the Harris School of Public Policy (1849). How long are standardized test scores valid? Created with Sketch. GRE scores are valid if the test was taken less than five years before the date of the application deadline. English-language exams are valid for application deadlines within two years of the date of the exam. If I submit multiple test scores, which will be considered? Created with Sketch. Admissions committees will generally superscore—that is, they will consider the highest score from each section of each test, regardless of when you sat for the exam. However, all test scores you submit will be visible to the committee, should they wish to view them. Is it possible to receive an application fee waiver? Created with Sketch. Many of our programs waive the application fee for a variety of reasons. For most programs, you can access the application fee waiver request form on the instructions page of your online application. Once you complete the form, typically the program will be in touch within a few days if they require any additional materials from you or further information. Once you complete the form, please do NOT submit the application fee as it is nonrefundable. Please note: applying for a fee waiver does not guarantee that you will receive one. The granting of fee waivers is at the discretion of the individual division or school. Applicants are generally notified on the status of fee waivers through the online application. Do you accept hard copies of application materials, or provide a paper application? Created with Sketch. We do not provide a paper application. All application materials must be provided through our online application. Unless specifically directed otherwise, you should only send electronic materials to the University of Chicago. I am experiencing technical issues with the online application (unable to login, upload materials, unable to submit application etc.). Whom should I contact? Created with Sketch. Please contact us at gradadmissions@uchicago.edu. Please include in the email your full name, application reference number, and the name of the program to which you are applying. What does it mean to waive my FERPA rights? Created with Sketch. The Family Educational Rights and Privacy Act (FERPA) allows students to access their educational records if they enroll at an institution. Applicants may waive the right to access recommendation letters in any FERPA request they may submit in the future, though you are not required to do so. However, please keep in mind that if a recommender believes you may have access to the letter in the future, they may choose not to write a letter or they may write a different letter than they might have otherwise done. In addition, admissions committees may not assign the same weight to such letters because they are often perceived as less candid. Can I change my decision to waive or not waive my FERPA rights? Created with Sketch. Once you have submitted a recommendation request, you will be unable to change your decision to waive FERPA rights for that particular request. However, you can contact us at gradadmissions@uchicago.edu and we will assist you. One of my recommenders cannot access/has not received the link to your system. What should I do? Created with Sketch. In some cases, institutional email servers may block our automatic emails. If your recommender has not received the email with their link, please contact us at gradadmissions@uchicago.edu. How can I alter my list of recommenders? Created with Sketch. As long as your application has not been submitted, you can add more recommenders. If you have made a mistake with your recommender’s information or wish to delete a recommender, please contact us at gradadmissions@uchicago.edu. My recommender made an error in my reference. Whom should he/she contact? Created with Sketch. If your recommender is unable to submit your reference, or has made an error, please have your recommender contact us at gradadmissions@uchicago.edu. I would like to alter my application, but I have already submitted it. How can I do this? Created with Sketch. If you wish to add new material, such as grades from a recent semester or quarter, you may do so by uploading them through the “Other Miscellaneous Documents” section of your online account. If you have submitted erroneous information, or if you believe there has been some technical or formatting error that occurred during your application’s submission, please contact us at gradadmissions@uchicago.edu. Why have my test scores not been verified on my online application? Created with Sketch. Test scores can take up to four weeks to reach us after you submit them. Please be patient. If you believe your test scores have already been received by the university and should have been verified, please contact us at gradadmissions@uchicago.edu. Please include in the email: your application program, reference number, and any information you have regarding how/when the official score was sent. For the GRE and TOEFL, the batch number from ETS is usually helpful, as is information on any possible mismatches in how your name, email address, or other data may appear between your application account and your test scores. For the IELTS, we will need the TRF code. Do you accept materials through Interfolio? Created with Sketch. Yes. Our system also supports automatic uploads from their system. To submit your letters in this fashion, you will need to enter the unique Interfolio email address in place of your recommender's email address in our application system. Once the request is received by Interfolio you will need to log in to their system to approve the submission. Once that is completed, Interfolio will upload your recommendation request to our application system, typically within 48 hours. Some of my application materials will be submitted late. Will my application still be considered? Created with Sketch. We strongly encourage applicants to submit all materials by the application deadline. If you must submit materials late, the policies vary across the University. If you believe any part of your application will be submitted after the deadline, please contact the admissions office for the program to which you are applying. Is an interview required? Created with Sketch. If your program requires an interview, they will contact you directly to set up an interview appointment. When will I receive an admissions decision? Created with Sketch. The date decisions begin to be issued varies widely between programs, so you should contact your program of interest if you have any concerns about the status of your application after it has been submitted. Once an update has been made to your application status, you will receive an email directing you to log into our application system to view your decision. Most programs will not provide decisions via email or phone. How do I appeal an admissions decision? Created with Sketch. We do not offer an appeals process for admissions decisions. All decisions of admissions committees are final.Please feel free to contact us with any questions you still have after consulting this FAQ page. Whenever you contact us, we appreciate you including your full name and program of interest at the top of your email. If you have already begun an application, please also include your reference number and the program to which you are applying. This will help us resolve your issue quickly and efficiently. The University of Chicago community is enriched through the diversity of our students’ backgrounds and perspectives, including students from more than 100 countries. Each of our admissions offices is dedicated to assisting international students with the application process, and our Office of International Affairs supports the unique needs of our international students, postdocs, staff, and faculty. Applicants to our graduate and professional programs are expected to be enrolled in or to have completed a bachelor’s degree or its equivalent from an accredited college or university. 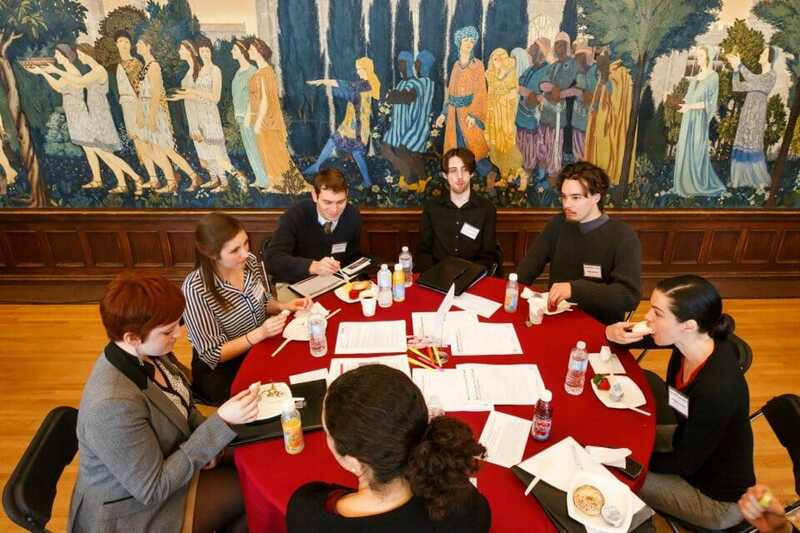 Applicants from a three-year bachelor’s program will be given due consideration. Because all of our programs feature competitive admission, no particular academic degree or background will guarantee admission to one of our graduate divisions. Questions regarding eligibility for admission to a graduate or professional program should be directed to the admissions office of the division or school to which you are applying. International applicants for admission to the University must meet the English language requirements outlined below. Please note that there is some variation in required test scores; individual divisions or schools may require higher or lower minimum scores, and will note these on their websites. Students may submit either the Test of English as a Foreign Language (TOEFL) or the International English Language Testing System (IELTS). TOEFL or IELTS score reports are valid for two years, and scores will be considered expired if the test was taken more than two years prior to submission of the application. Photocopies of TOEFL or IELTS score reports will not be considered valid. If you are submitting the IELTS, the University of Chicago downloads IELTS scores that have been transmitted to our e-download account. Please contact your test center and request that your scores be sent to the following IELTS e-download account: University of Chicago – Graduate Enrollment 970 East 58th Street, Third Floor Chicago, IL 60637 We will not accept paper IELTS test report forms. If you need to contact us about receipt of your test scores, please include the batch number from ETS (not the test date or date sent), or the TRF code from the IELTS. The English language requirement may be waived under specific circumstances: if the applicant is a United States citizen or Permanent Resident or studied in full-time status for at least one academic year within the last five years in the United States, United Kingdom, Ireland, Australia, New Zealand, or English-medium universities in Canada or South Africa. Students who studied in English in other countries—for example, India, Pakistan, the Philippines, or Singapore—are not exempt from the English language requirement (with the exception of Chicago Booth). Applicants must submit official academic records—transcripts or mark-sheets—with grading scales for each year of post-secondary education at a college or university, as well as official copies of degrees awarded (unless the transcript shows degrees awarded). Official copies of credentials must be validated by a school administrative officer such as a registrar or an official of the issuing body. True copies prepared and signed by faculty members, city or government officials, or notaries public are not considered official. If the standard in your home country is for someone in one of these categories to validate documents, please contact your program’s admissions office to discuss your situation. Documents should be issued in their original language and be accompanied by official English translations. The translations should be prepared or verified by someone whose position requires knowledge of both English and the other language, e.g., a professor of English at a French university. 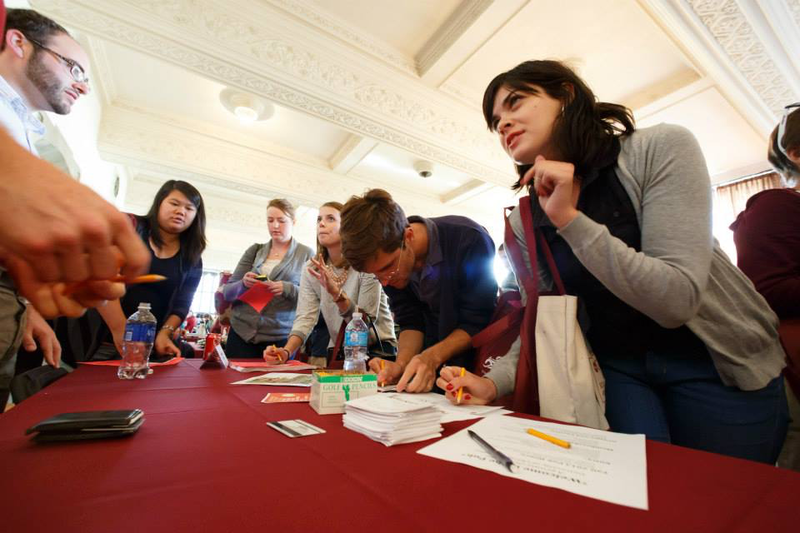 The University of Chicago Office of International Affairs offers support and guidance for students who must obtain a visa to study in the United States. If you are admitted and decide to attend UChicago, you will receive specific instructions on the process. Still have questions about the process? Please visit the International Applicant FAQs page for answers to frequently–asked questions. I wish to apply for a PhD. Do I need a master’s degree to apply? Created with Sketch. I have not graduated with a four-year bachelor’s degree. Can I still apply? Created with Sketch. For admission to most of our programs, applicants need the equivalent of a four-year bachelor's degree. However, our faculty understand that in many parts of the world three-year undergraduate degrees are standard. In those cases, our programs will typically accept a three-year degree, provided it is equivalent to a bachelor's, such as a BTech or BSc degree. That said, it is not unusual in some programs for students to do a fourth-year program of some type to enhance the competitiveness of their application. Do you offer conditional admission? Created with Sketch. Very few programs at the University of Chicago offer conditional admission to students who have yet to formally apply to a program or do not yet meet our English Language requirements. The best way to find out if your program offers conditional admission is to contact them directly. What financial aid is available to international students? Created with Sketch. International applicants are given equal consideration for all awards and sources of University funding for which they qualify. However, sources of aid are limited and competitive because some programs receive funding from the U.S. government that cannot be used to support international students. International students are also not eligible for U.S. student loans in most cases. For these reasons, we encourage all international students to investigate outside sources of aid, including programs within their home country, as well as organizations like Education USA, the Institute of International Education, and International Education Financial Aid. Further information on financial policies can be found here. What work opportunities are available to international students? Created with Sketch. There are many employment opportunities available for graduate students, regardless of their citizenship status. Visit our international student funding page and the Office of International Affairs website to learn more about applying for work as an international student. Will the University sponsor a visa for me? Created with Sketch. The University of Chicago only sponsors visas for students who have been accepted to and are enrolling at the university. Our Office of International Affairswill facilitate this process once you accept an offer of admission. What are the English language test requirements? Created with Sketch. International applicants to graduate programs at the University of Chicago are required to submit TOEFL or IELTS scores during the application process. The English requirement may be waived for applicants who are native to or have studied in certain English-speaking countries. Students who studied in English in other countries are not exempt from the English language requirement. For most programs, the minimum required score for the TOEFL is 104 overall, with four sub scores of 26 each. If you are applying to a program in the Physical Sciences Division or the Institute for Molecular Engineering (IME), the minimum TOEFL score may be lower. You should confirm your individual program’s requirements before applying. Minimum required scores on the IELTS are an overall score of 7, with sub scores of 7 each. Can I have a waiver for the English language test requirements? Created with Sketch. The English language requirement may be waived if the applicant is a native of or studied in the U.S., the United Kingdom, Ireland, Australia, New Zealand, or English medium universities in Canada or South Africa. Further information regarding the English language requirements can be found here. Exemptions are granted by the division or school during the application process, and there is no form required—only submission of your transcripts which indicate you meet the waiver requirement. Does the university offer English language courses? Created with Sketch. Our English Language Institute offers classes for non-native English speakers through the Academic English Pre-matriculation Program (AEPP), as well as special interests classes and workshops during the school year. However, these classes are not part of an accredited program at the University of Chicago and do not satisfy any University requirements. All international applicants are required to submit TOEFL or IELTS scores during the application process. Information about minimum scores required for admission can be found here. I studied at an English medium university in a country which is not in the TOEFL/IELTS exempt list. Do I still have to take the exam? Created with Sketch. Yes. Unless you are a native of or have studied in an English-speaking country, you must take an English language exam. If you attended an English-medium university not in one of the approved list of countries, you must still take the exam. What is the application process? What extra is required of international applicants? Created with Sketch. Each department handles its own admissions process, so please be sure to check the admissions requirements listed on your program’s website carefully. For most programs, international applicants provide all the same materials as domestic applications. However, they must also submit TOEFL/IELTS scores meeting our minimum requirements, and in some cases programs may also ask international applicants to upload video statements to their application or interview via Skype or Google. In some cases, due to visa timelines, programs may require international applicants to apply during one of their earlier application cycles. Do I need to convert my GPA to a 4.0 scale? Created with Sketch. Unless you are specifically requested to do so in the instructions on your application, please do not convert your GPA to a 4.0 scale. Do I have to have my transcripts translated into English? Created with Sketch. Yes. Please send documents in their official language along with an English translation. Translations should be prepared or verified by someone whose position requires knowledge of both English and the other language—for example, a professor of English at a French university. The University of Chicago does not offer translation services. However, applicants seeking a translator might consider contacting their home country’s consulate or embassy or searching the directory of the American Translators Association.